The leech has two daughters: give and give. Three things are never satisfied; four never say, “Enough” — Sheol, the barren womb, the land never satisfied with water, and the fire that never says, “Enough” (Prov. 30:15-16). These verses form a proverbial riddle (see Prov. 1:6). What is the point of these verses? The “answer” is not expressly stated. A clue here is that the writer uses a “numeric proverb” (see Prov. 6:16). The numeric proverb is a list of certain things, and when it appears that the list is complete, something else is added to the list. In other words, the list is by no means exhaustive. In this proverb, the message is not so much what is in the list, but what could be added to the list or what is figuratively implied by the list. These “insatiable things” remind us of insatiable people. The warning is that we can be people who are never satisfied. The moral of the story is to find contentment. “I know what it is to be in need, and I know what it is to have plenty. I have learned the secret of being content in any and every situation, whether well fed or hungry, whether living in plenty or in want. I can do everything through him who gives me strength” (Phil. 4:12-13). 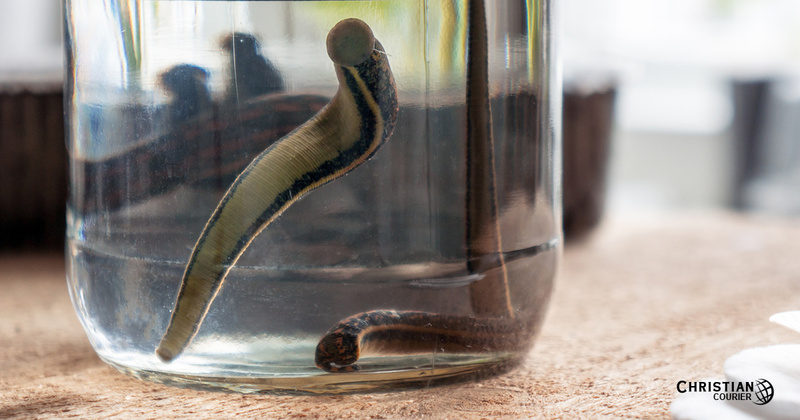 Suppose that someone called you a “leech.” Would you take that as a compliment? I suppose you would, if you were one. But most of us would be offended, because parasitic people are simply disgusting. The warning is twofold. One the one hand, learn to be content. But on the other hand, watch out for leeches. The alcoholic wants another drink. The adulterer wants another affair. The prideful wants another compliment. The covetous wants another dollar. The jealous wants what you have. The lustful wants another peek. The sluggard wants another freebie. The rebellious wants to get away again. The apostate wants your tolerance. And all of these will in varying degrees destroy their relationships, sacrifice their own happiness, trying to get more of what they want. But nobody has to go on living an insatiable life. When a person wants salvation, they can find real satisfaction (Jn. 8:32). There is a hook in that temptation, and it’s a life of misery wherein we can never be satisified with empty illusions and avoiding personal accountability. But godliness with contentment is great gain (1 Tim. 6:6). Reflect upon this proverb today. Do Psychics Really Have Mystic Powers?